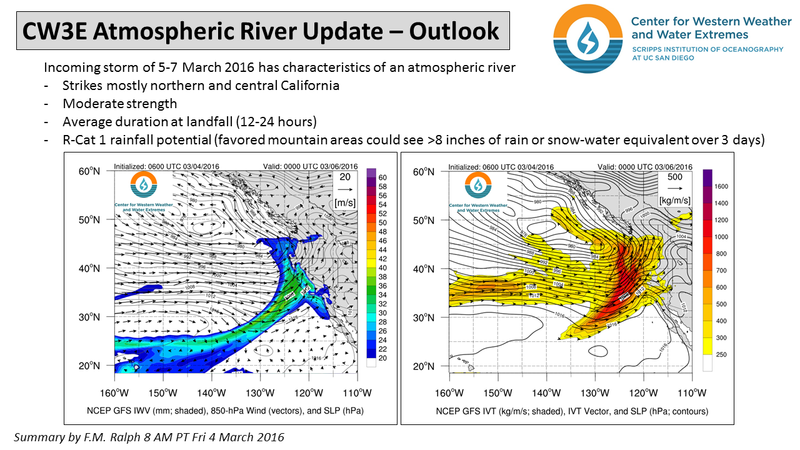 A storm predicted to make landfall over northern California on 5 March 2016 has characteristics of an Atmospheric River. The AR is showing moderate strength with an average landfall duration of 12-24 hours. 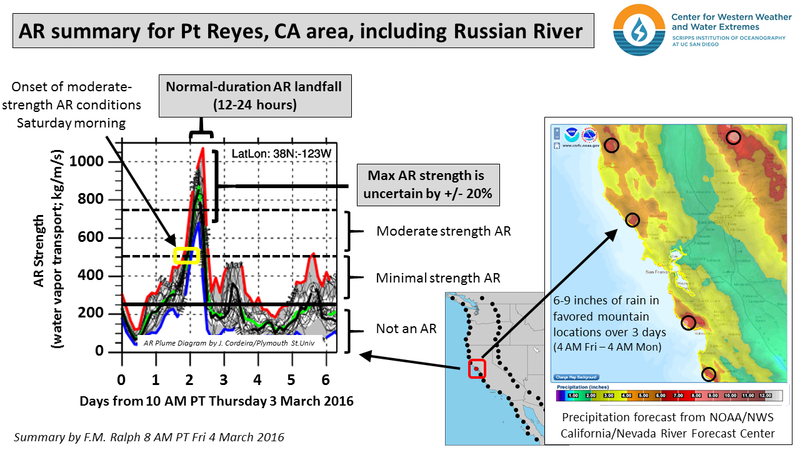 The storm has the potential for R-Cat 1 rainfall in favored mountain areas. For up to date AR forecasts visit the CW3E AR Portal.